In 1945, a group of college baseball coaches gathered in New York City to formulate ideas for the promotion and improvement of the collegiate game. Coach Eppy Barnes, Colgate University, and coach Joe Bedenk, Pennsylvania State University, originated the idea that co.. It is our goal to build a respectful and competitive baseball environment that reflects positively upon student athletes who choose to compete and build future life skills through this beloved game.The AZBCA Hall of Fame strives to recognize and promote our game’s .. While several regional athletic associations were formed around the state in the late 1890s, there was no statewide organization that administered athletics. Game rules were not uniform and abuses were common, including undue influence and non-students representing h..
Oak Lawn, Illinois, United States. The first meeting of baseball coaches to organiz the Illinois High School Baseball Coaches Association took place in 1965. Jay Sanders of Highland Park High School was the first President and Ron Klein of New Trier High School was the first Vice-President. The first.. 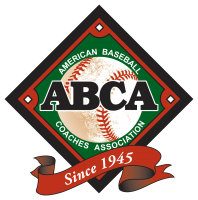 The National High School Baseball Coaches Association (BCA) was officially formed in July 1991, to provide services and recognition for baseball coaches and to help promote and represent high school baseball across this country. The current membership has coaches fro.. 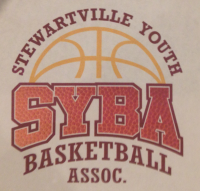 The Stewartville Youth Basketball Association (SYBA) is a non-profit organization dedicated to supporting the Stewartville High School Basketball Programs for boys and girls, by introducing young players to the game of basketball and developing their skills as player..
WCSA has gone through many changes since it was formed to keep up with the times and be more inclusive of our diverse community! WCSA was formed on July 12 in 1975, one year after the college was formed in order to serve, represent and advocate for the variety of stu.. The Naparima Alumni Association of Canada was founded in Toronto in 1978. Its regular membership consists of past students and staff of seven institutions established by Canadian Presbyterian missionaries who began their work in Trinidad in 1868. 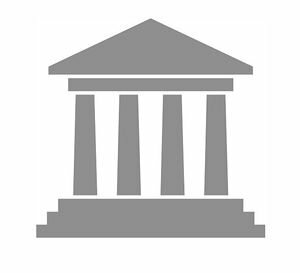 These institutions a..
Over 110 years committed to encouraging participation of alumni in the life of the University of Toronto.Although the UTAA existed in some form or another since the 1840s, the current corporate entity took shape in April, 1900, incorporated under letters patent and i.. It is unlikely the WBCA would exist today if not for a group of women's coaches who met at the 1981 Olympic Festival in Syracuse, N.Y., to discuss the formation of a coaches association. Among those attending that meeting were Illinois State head coach Jill Hutch..